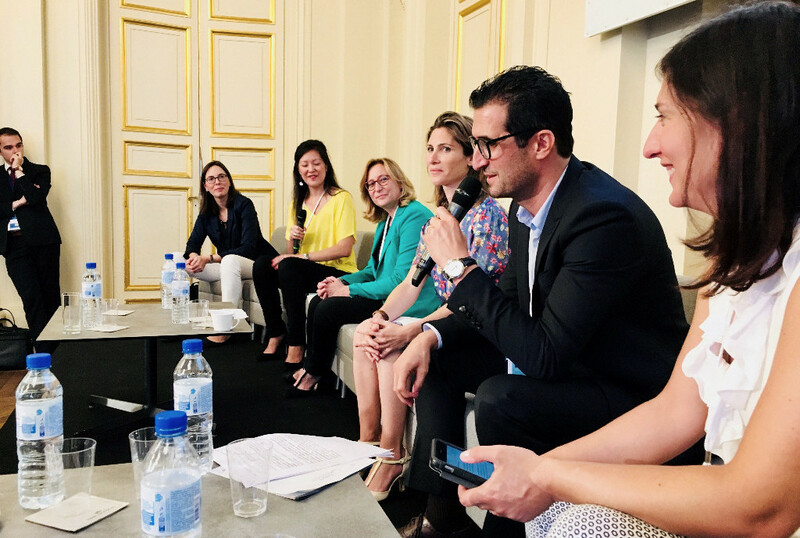 Active Asset Allocation’s team will be in Paris on the 27th of June to attend Fin&Tech Community, a key event for the French financial industry organised by FINANCE-INNOVATION. Fin&Tech Community is intended for French Fintechs, SMEs and Paris’s financial market, it aims to rethink and reshape the contours of a positive finance carried forward by digital innovation, inventing new economic models and redefining the relationship between business and finance. This event is composed of numerous presentations, discussion panels and keynotes all day long, and finishes with the official Finance Innovation Label Award ceremony. 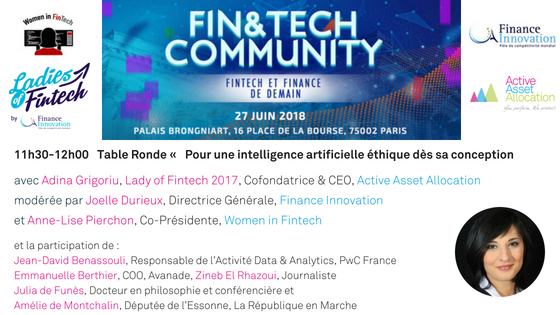 Adina Grigoriu, CEO et co-founder of the Fintech Active Asset Allocation, elected Lady of Fintech 2017, will take part from 11:30 AM to 12:00 AM to the Women In Fintech Discussion Panel : « For an ethical Artificial Intelligence from conception » animated by Joëlle DURIEUX and Anne Lise Pierchon.